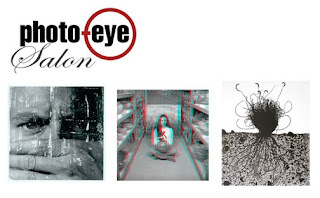 On July 7th from 6:30-9:00 pm, photo-eye will host its monthly First Wednesday Salon. In July, photographers Willis Lee, Jason Ordaz and Cotton Miller will be speaking on photographic processes ranging from stereo photography to platinum prints. Willis Lee will be presenting a selection of work ranging from platinum prints, Polaroids and gravures, Jason Ordaz will be showing stereoscopic views of Northern Mexico, rock art and portraits and Cotton Miller will be showing his encaustic alternative process work. Three concurrent exhibitions: Mitch Dobrowner, Chris McCaw and Edward Ranney. Gallery exhibitions continue through September 5th, 2010. Mitch Dobrowner will be exhibiting work from his Storm series, inspired by a ten day venture following severe weather systems. Chris McCaw will be showing his one of a kind paper negatives. In this series of work, McCaw takes long exposure during the day, allowing the paper negative to be burned by the sun. Edward Ranney will be exhibiting work from his newest monograph, Down Country - a collaboration with renowned writer and Galisteo resident Lucy R. Lippard - a selection of photographs from the historically rich Galisteo Basin. Contact Anne Kelly, photo-eye Gallery Associate Director, for further information on the photo-eye exhibition Elemental.